TEGUCIGALPA: Honduran soldiers and police clashed with protesters blocking roads across the Central American country on Saturday, as discontent continues to fester nearly two months after a disputed presidential election. At least one person died as security forces launched tear gas against rock-throwing supporters of the centre-left Opposition Alliance Against the Dictatorship and tried to clear impromptu roadblocks of burning tires they had set across the capital Tegucigalpa and around the country, according to police sources and TV images. Honduras, a poor, violent country that has long sent vulnerable migrants north to the United States, has been embroiled in a political crisis since the Nov 26 election, which the opposition says was stolen by centre-right President Juan Orlando Hernandez. At least 31 people have died in violent protests. “Out with JOH, out with the dictator,” masked protesters shouted in Tegucigalpa’s Miraflores neighbourhood. A local NGO said a 60-year-old man died and another person was wounded when military police opened fire on protesters blocking a road in the town of Saba, 210 km (130 miles) northeast of the capital. A security ministry spokesman told local media that the incident was being investigated. Twelve people had been arrested across the country, he said, adding that three police officers and a soldier were injured in the protests. 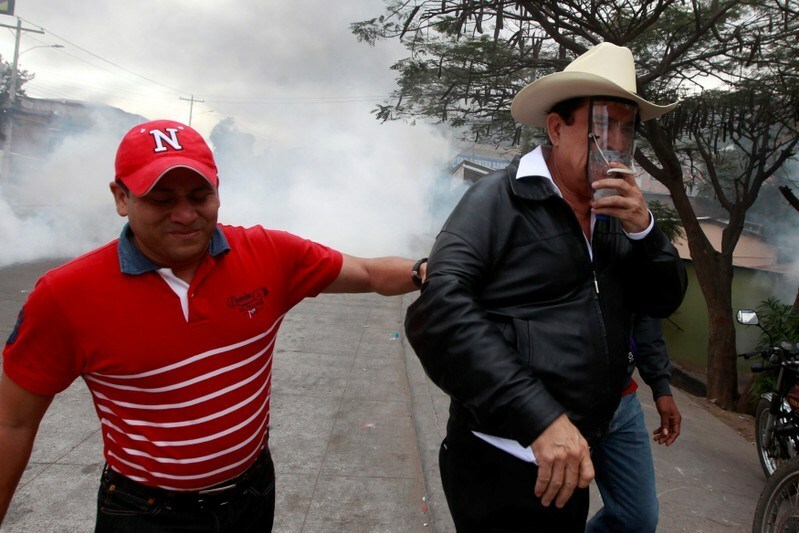 The Honduran electoral tribunal declared Hernandez, a staunch US ally, winner of the election last month despite strident protests over the vote count. Initially, the vote tally had clearly favoured centre-left opposition candidate Salvador Nasralla, but it swung in favor of the incumbent after a 36-hour delay. Hernandez is due to take office on Jan 27. “We have to stay in the streets,” said former President Manuel Zelaya, who was ousted in a 2009 coup and is one of the opposition leaders.